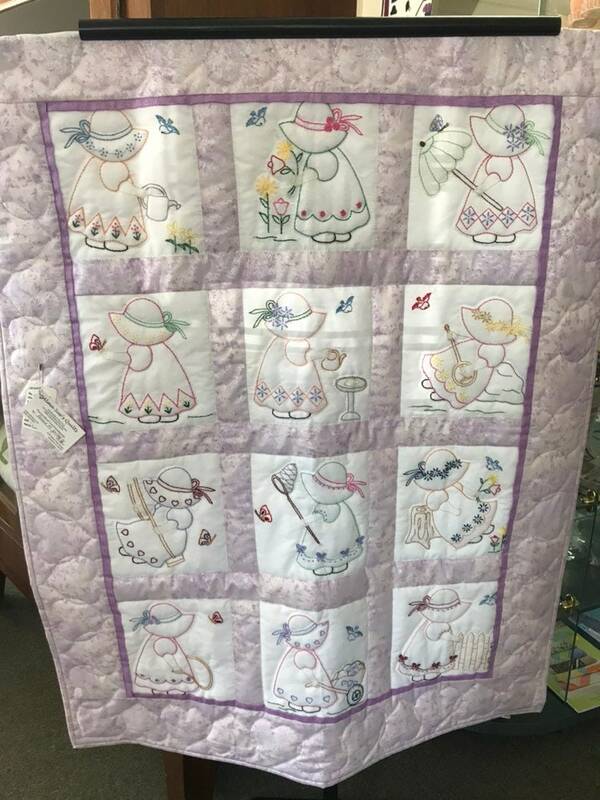 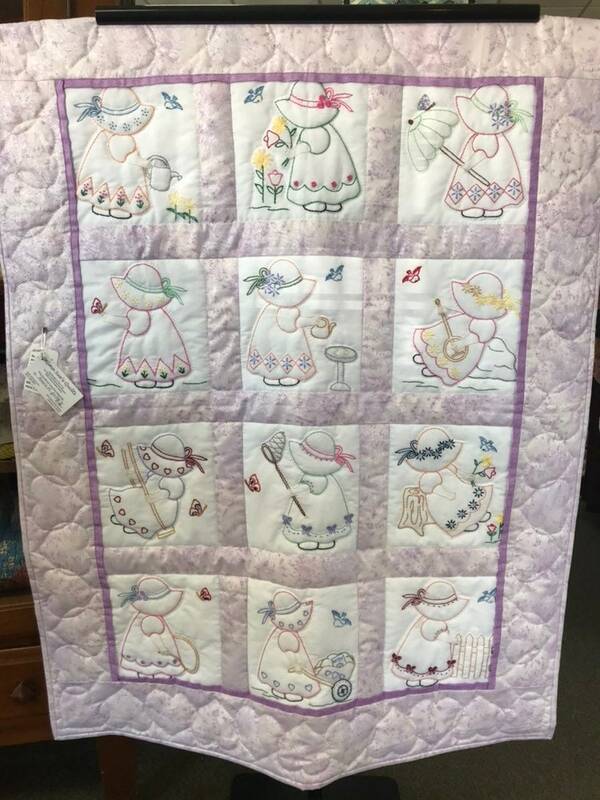 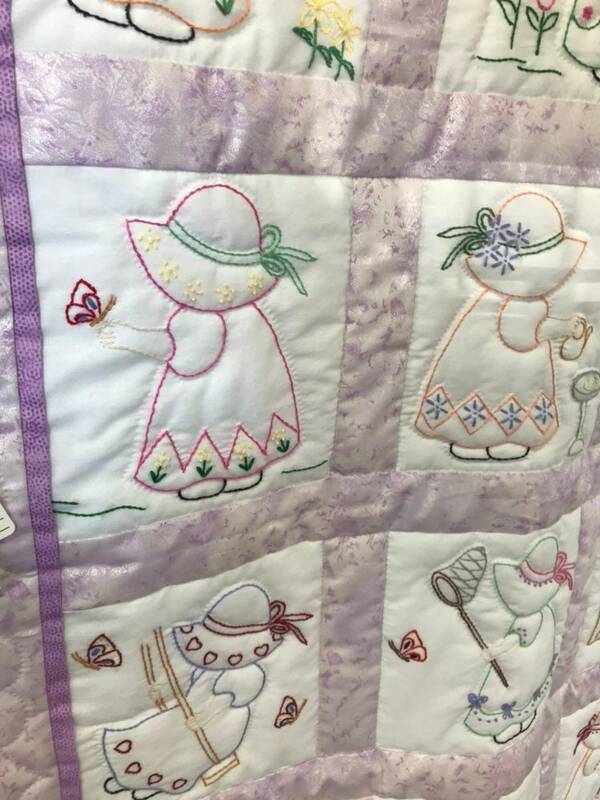 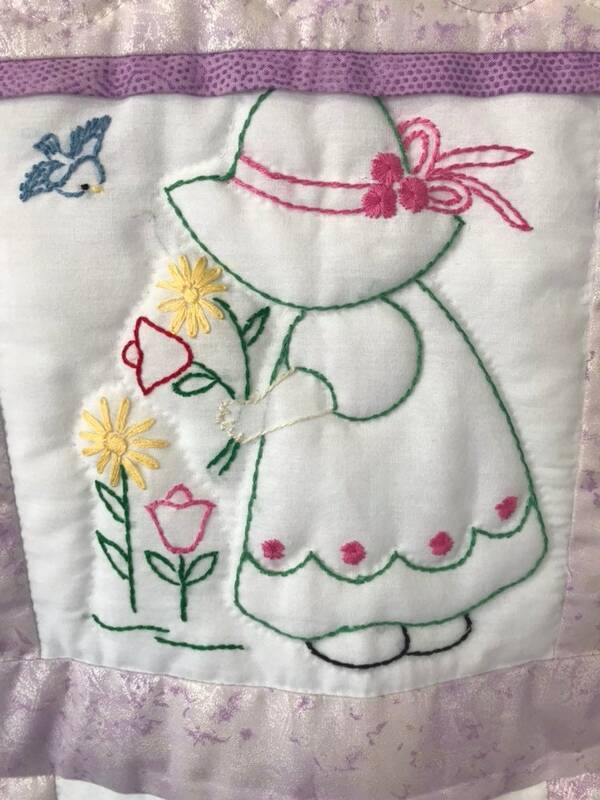 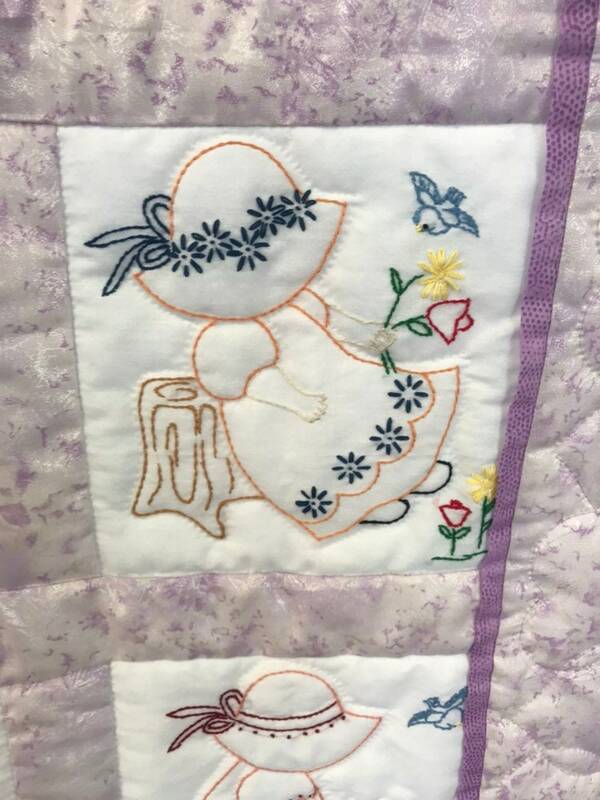 This lavender Sun Bonnet Sue Baby Quilt has been hand embroidered and hand Quilted by the Amish. 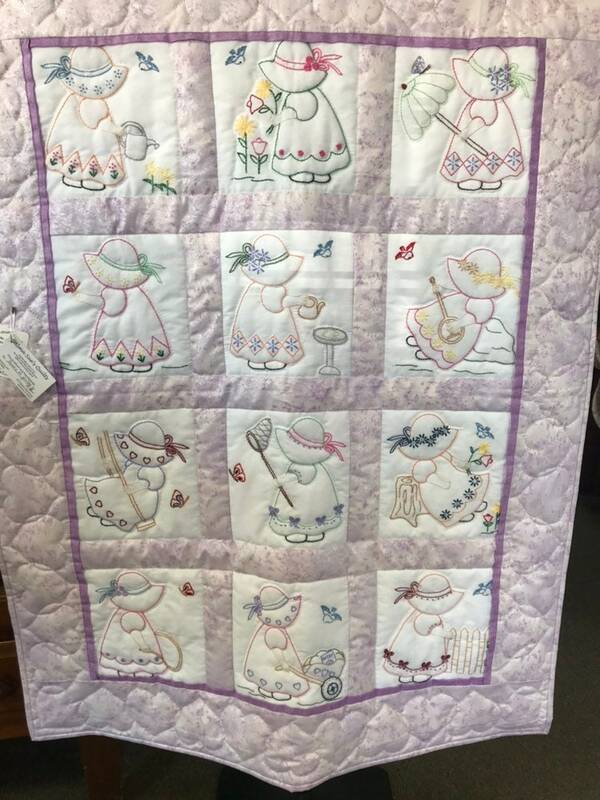 It is 40x 45 and would be a great keepsake Quilt. 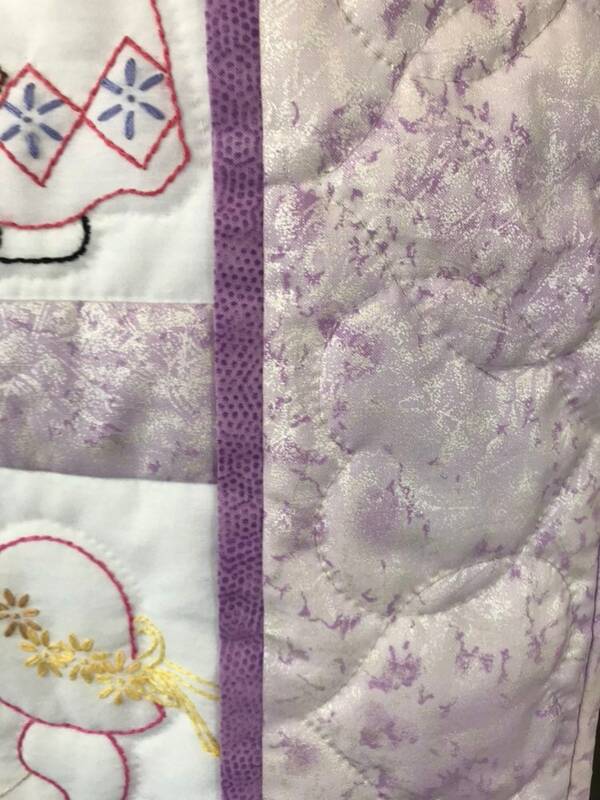 The backing is white. 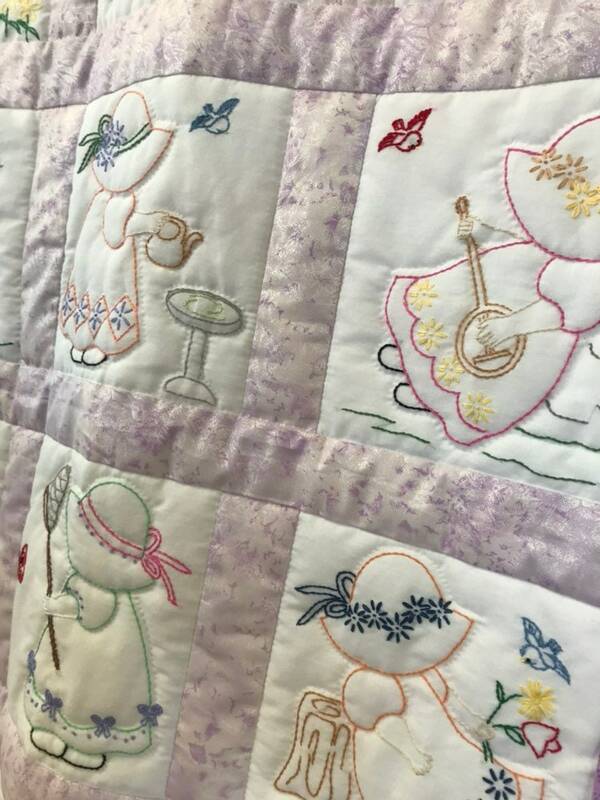 Alma Sue’s offers a free refund in the event you are not happy with your Quilt (certain restrictions apply). 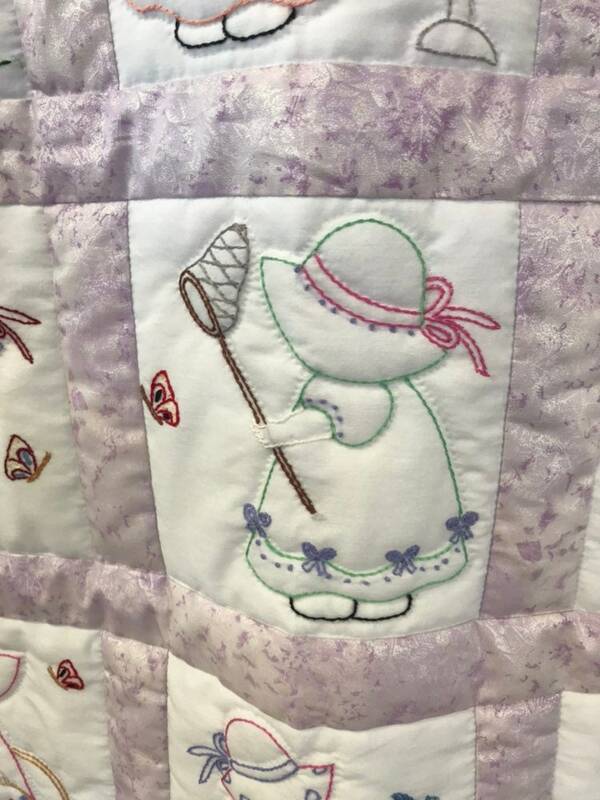 We ship and insure via FedEx. 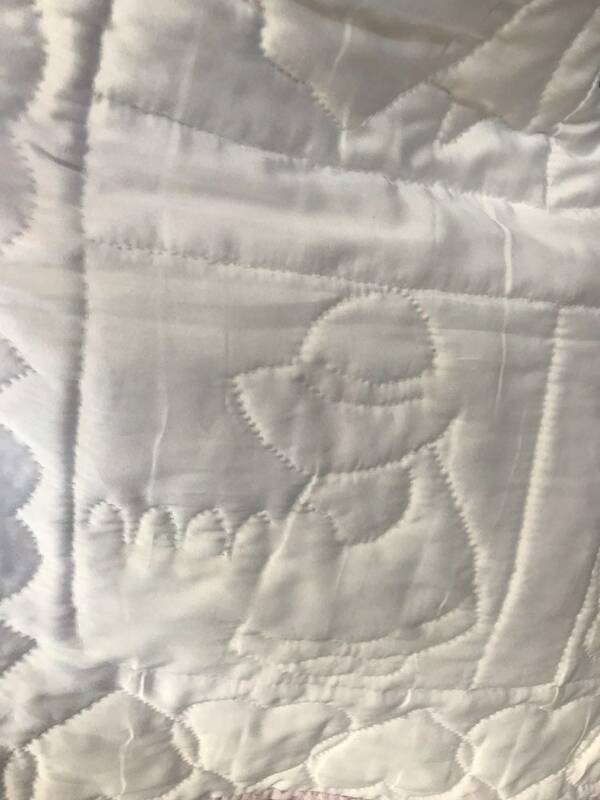 Please be prepared to sign for your package.